From mouth-watering scones to macarons, Dubai has perfected the art of afternoon tea, and as many people know, Dubai does not skimp on luxury! From 24 karat gold teas, where tea leaves are transformed into an elusive jewel – a golden ornament (each tea bud is lavished in 24-karat gold) to caviar served up at midday – the possibilities are endless. The roots of the quintessesntal custom of afternoon tea aren’t quite defined but credit is widely given to Anna Maria Russell, the Duchess of Bedford, who, because of long stretches between lunch and the late evening meal, would suffer from hunger spells. She solved this by requesting a tray of tea, bread and cake to be brought to her room during late afternoon and it quickly became a habit of hers – she would even invite friends to join her. It wasn’t long before this tea break became a fashionable social event and, during the 1800’s, upper-class women would change into long gowns, gloves and hats for their afternoon tea, which was usually served in the drawing room. The 1920’s marked the height of the craze, complete with distinguished guests, pagentry, servants, silver teapots, crisp linens, musicians and the best tea money could buy. Today, luxury hotels in Dubai and all over the world, offer some of the most instragram-worthy afternoon teas, with elaborate treats like caviar and Champagne, macarons and eclairs. The Dubai Mall (the largest Mall in the World) even has a Laduree Parisian Tea Salon, where you can savour these treats in a comfortable, posh setting. Make your way to Ossiano restaurant at the Atlantis, The Palm Resort on a saturday to indulge in a truly sumptuous afternoon tea accompanied by stunning views of the Ambassador Lagoon and its 65,000 marine animals. Delight in savoury treats, cakes, pastries, caviar, with a fabulous selection of teas and the option to add premium bubbles. 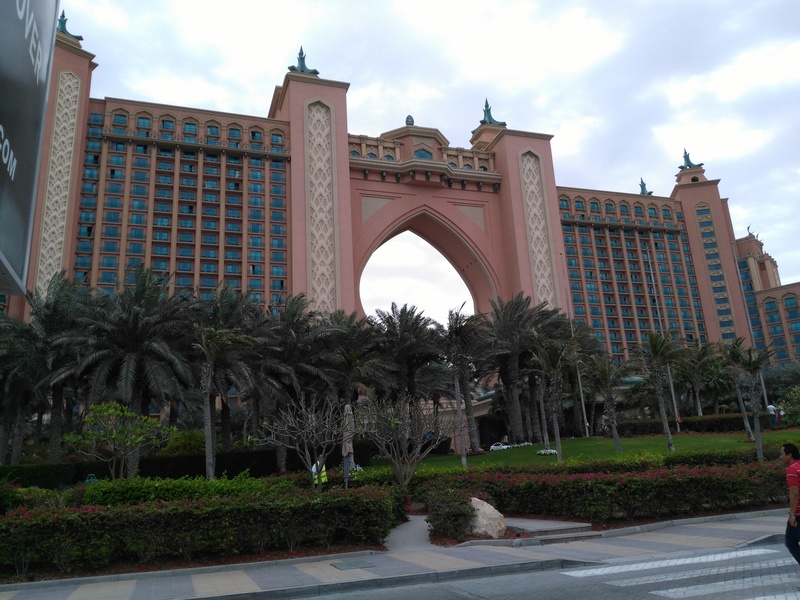 Photos: Atlantis Resort Dubai and the Ambassador Lagoon, Blair Global Media. When: Saturdays 2pm – 4pm, Dhs295, Dhs 450 with a glass of bubbly. This place was always buzzing with excitement and after checking into the Atlantis Resort, it took us some time to realize that this grand, ostentatious restaurant with dazzling gold columns and decor was a place for afternoon tea. Enjoy traditional afternoon tea at Plato’s Arabian tea house in Atlantis, including sandwiches, pastries, and freshly baked scones with clotted cream and strawberry jam. And 24ct gold tea? Yes Plato’s at Atlantis the Palm, Dubai serves them up! This is regarded as the world’s most expensive tea. The Yellow Gold Tea tea is from Singapore’s TWG tea company. Once reserved for Chinese emperors only, and grown on only one hillside in Sichuan province, the yellow gold tea is harvested on one day of the year using golden scissors, cutting only the yellow tea buds at the top of the plant. It’s served at Plato’s Arabic Coffee House for around AED 180 (approx. $68 AUD) per pot served with one of the available pastries. Plato’s also features a honey fountain with 9 types of honey & an opulent honey fountain to dip fruits. When: weekdays 2-5:30pm, Dhs 130, Dhs 275 with bubbly; weekends 2pm-5pm, Dhs 140, Dhs 285 with a glass of bubbly. Savour teatime properly at the Samovar Lounge at the One &Only Royal Mirage, where you can dive into a selection of finger sandwiches, scones with devonshire clotted cream, and a whole host of cakes and pastries. When: daily, 3pm-6pm, Dhs105. If youre watching your weight, go for light tea at Dhs75. The revamped Aspen café at Kempinski Mall of the Emirates is home to a new classic afternoon tea inspired by the hotel’s European heritage. There’s also classy entertainment courtesy of the resident harpist. Sample three ‘flights’ of bites on tiered platters. Plus, choose from 20 varieties of Tchaba tea served in Japanese china. When: Dhs295 per couple, 3pm to 6pm.